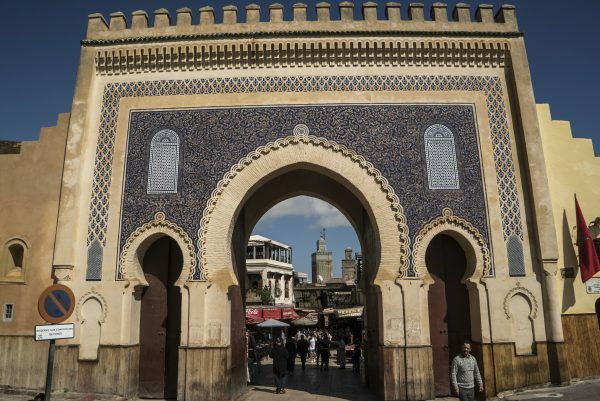 From the moment I arrived in Fez, Morocco’s second-largest city after Casablanca, I felt I had entered into a completely different history and culture. 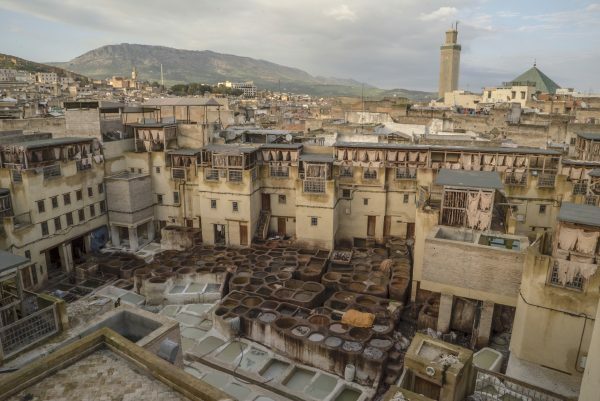 Fez largely consists of two old medina quarters, Fes el Bali and Fes Jdid, and the modern section of Ville Nouvelle with its palm-tree-lined boulevards, built in the French colonial era. 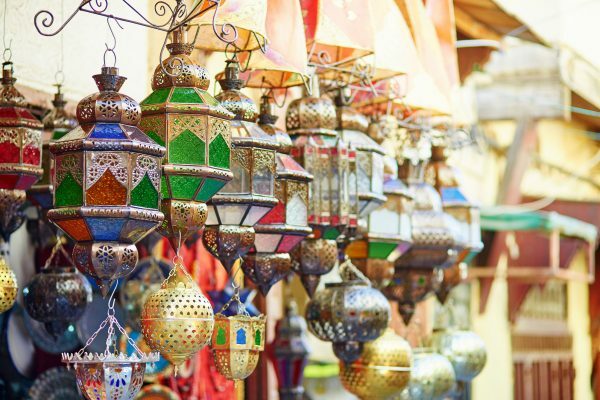 The walled medina, with its bustling souks and old-world ambience, is the jewel of the city. 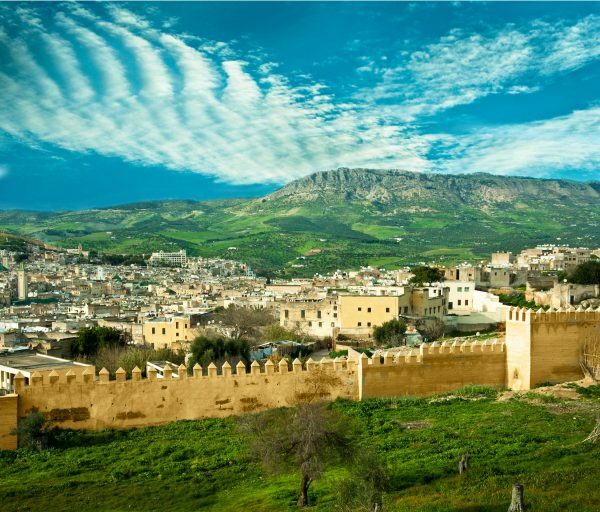 It is a UNESCO World Heritage site and one of the best-preserved medinas in the world. 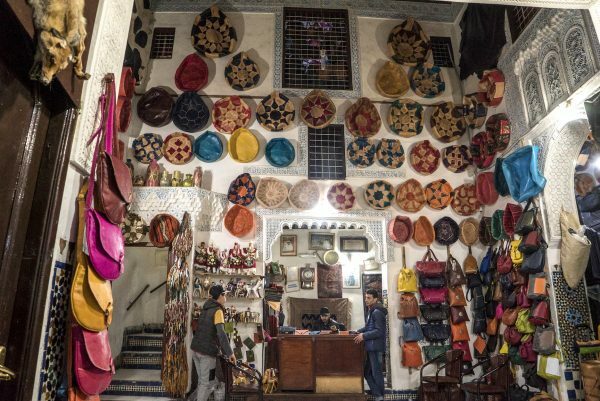 There are many riads—old houses and palaces—converted to modern guesthouses in the medina. 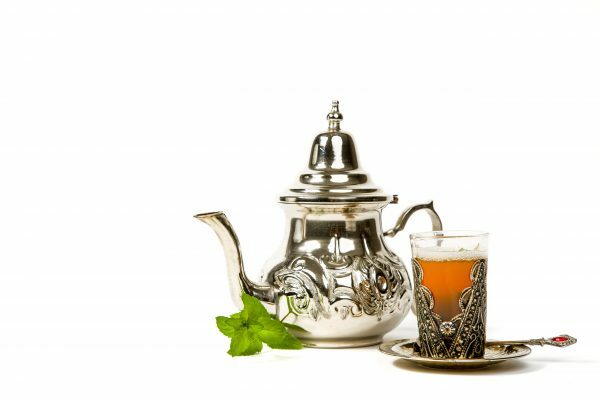 We stayed at the Fes Marriott Hotel Jnan Palace, and when we checked in, two ladies standing by the entrance welcomed us and a man dressed in traditional Moroccan garb poured us a glass of mint tea from a silver pot. 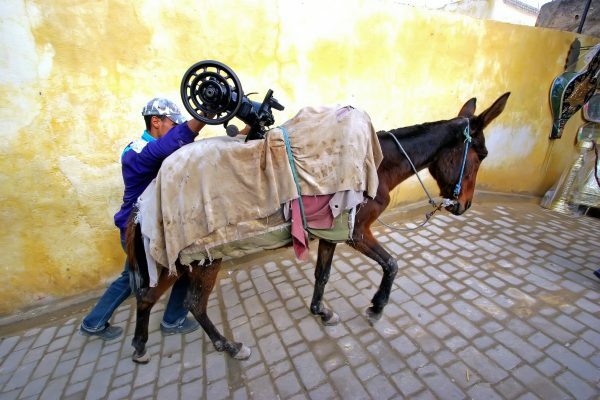 This is just one example of the hospitality one encounters in Morocco. The next morning, we took a taxi to the medina. We entered via the Bab Rcif gate where a large plaza led us to another smaller gate, through which we finally entered the souk (marketplace). Like many souks, it was like being in a maze, so we tried to keep going straight ahead to avoid getting lost. We passed many small shops selling everything from textiles, to clothing, to footwear, to groceries and household materials. 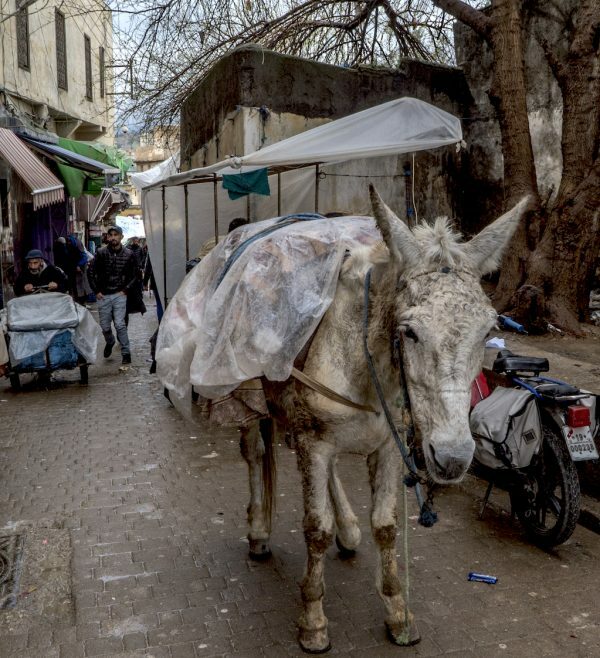 As we strolled deeper into the heart of the souk, the passage narrowed and we often had to give way to a donkey carrying a load of materials or a shopkeeper pulling a trolley. We continued walking until we reached the part of the souk known as the Andalusia neighborhood, home to the Al Andalous Mosque. The mosque was closed for refurbishment so we couldn’t go in, but standing in front of it we got a good view of the medina and beyond it the city wall, all silhouetted against the dramatic backdrop of the Atlas Mountains. Despite our efforts, it wasn’t long before we lost our way, but this part of the charm and fun of the medina! Would we have found the shop dedicated to a variety of exotic herbs and spices or the vegetable and fish market otherwise? Eventually, we had to ask for directions. I knew not to ask the men or boys about the streets though, for if I did they would stick to me like glue, demanding money. 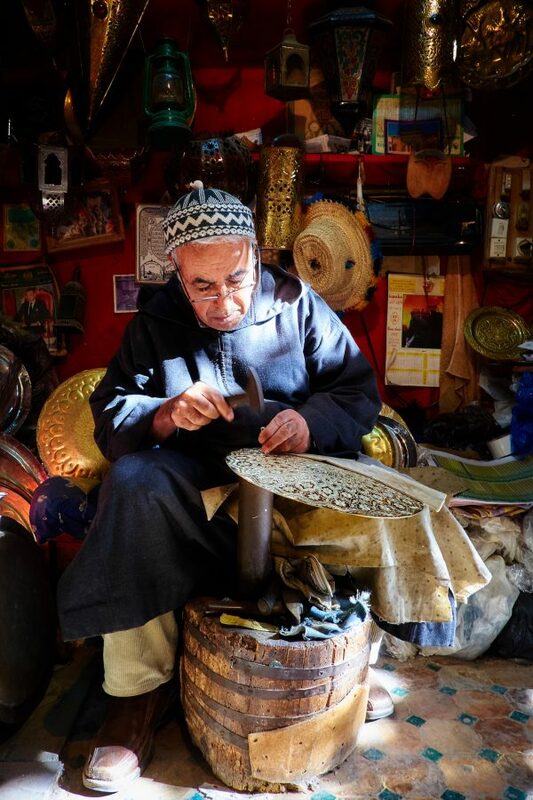 These unofficial guides can be a real pain, so if you get lost in one of Morocco’s souks I recommend asking a shopkeeper for directions. Next, we headed through narrow alleyways that took us to a residential neighborhood where there were only a few shops. We thought we were heading in one direction but discovered we were actually walking in a circle. After getting directions once again, we headed off to Bab Boujloud which was crammed with shops overflowing with leather bags, jackets, and shoes. This time we followed a student we had met, Yassin, and his friends. Along the way, we passed the Shrine of Moulay Idriss and El Quaraouiyine Mosque and University. What struck me most as we navigated the maze of streets in the medina was the vibrant energy in the ancient city. Watching the interactions between the shop owners and locals, I could see that they were like one big family, very friendly and familiar to each other. Yassin invited us to his home, which was near the ruins of the Merenid Tombs built in the 14th century on a hill overlooking the medina. 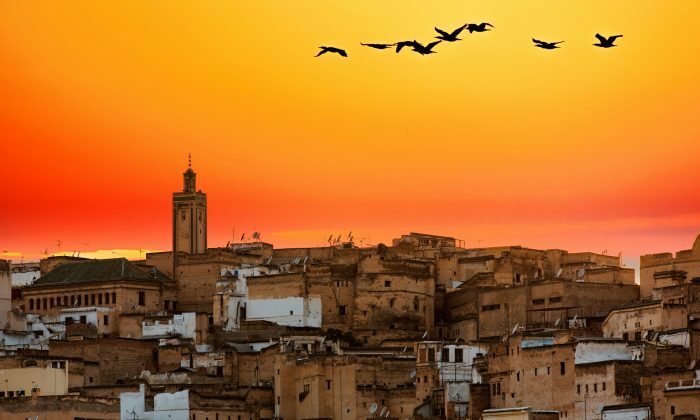 When we got there it was nearly sunset, and the panoramic view of the medina, Ville Nouvelle, and the mountains was magnificent. At Yassin’s house, which was in a new, middle-class neighborhood, we were warmly welcomed by his parents and offered tea and dates. Before we left, his mother insisted that we have a bowl of harira, a classic Morroccan soup. My short time in Fez gave me a glimpse of the mystery of this ancient city. I plan to return for the World Festival of Sacred Music next June, an annual week-long gathering of composers of classical and spiritual music from all over the world. That experience, I’m sure, will present a different side to Fez. Over the centuries, Rügen has changed hands more often than a Christmas fruitcake. There it was: The lost palace of Galatas, the archeological site so few have seen in modern times. But here, I’ve learned that winter isn’t something to fear, but something to be embraced—and the Québécois do that in spades. For me, horseback riding in Steamboat Springs is a given. This is prime ranching country and has been for more than 100 years. Get off the highway and you’ll discover a unique culture filled with experiences that you can only get in Kansas.